Discover what Engage Forms can do. Download our guide to our Engage Intranet Software Forms Application. 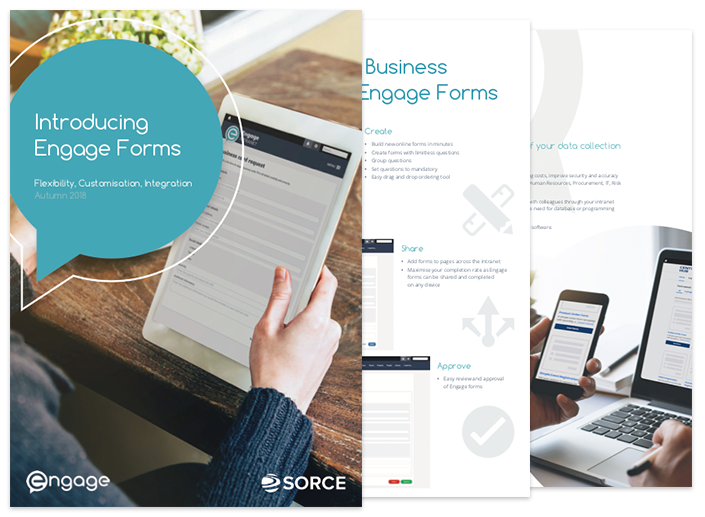 Engage Forms enables you to improve the speed of your data collection across your entire business. Engage Forms comes as standard with our Engage Intranet Software. To download our Engage Forms Guide just fill out a few details and you can download our PDF guide.